Starting or buying a business in South Africa requires large amounts of money moved between South Africa and a foreign country. Money may still be transferred after the business has opened its doors. To get the best rates and advice, foreign nationals should talk to Intergate’s consultants about our South African foreign exchange service. South Africa is one of the few countries in the world that still has foreign exchange control regulations in place. These regulations govern the transfer of money to and from South Africa. It is important for foreign nationals to know this because certain restrictions are placed on what can and cannot be transferred. Transferring money also require permission from the Reserve Bank. Not being compliant with all South African foreign exchange control regulations could mean that funds cannot be recovered at a later stage. Intergate’s consultants comprehensively study each business they deal with. They need to understand how the business works to know its currency and money transfer needs. This understanding allows our consultants to provide a tailored solution for South African foreign exchange to the business owner. 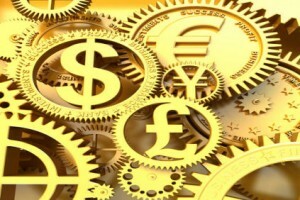 Advice on foreign exchange control and compliance thereof. The ability to open bank accounts before arrival in South Africa for transfers. To make use of Intergate’s foreign exchange service, all you have to do is call us. Our Cape Town team is available on +27 (0) 21 424 2460 and our Johannesburg team can be reached on +27 (0) 11 234 4275. Alternatively, request a free call back and one of our consultants will contact you instead. If you haven’t applied for your business visa yet, remember that you have to do that first. The consultant you speak to during your conversation about South African foreign exchange will be able to answer any questions about a business visa too.